When I decided to take today off work (I have a lot of extra work hours built up from my business trip last week) I knew I wanted to go see a movie. 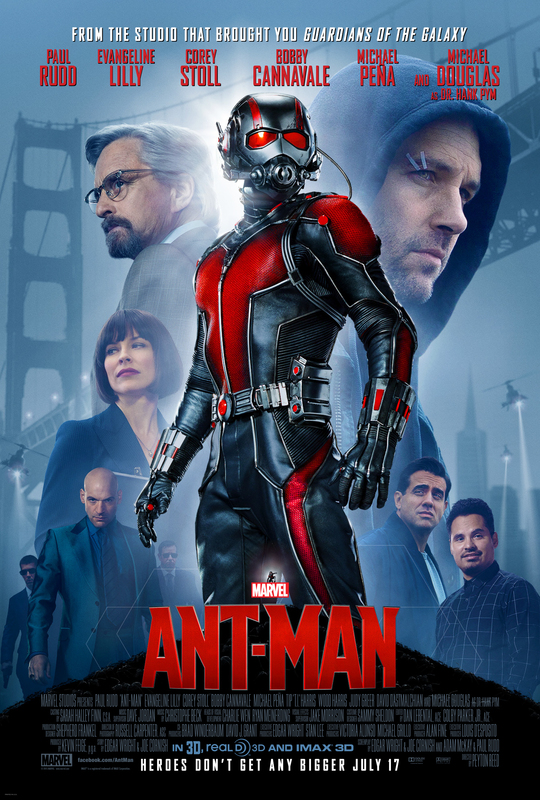 So after I got home from Disneyland this afternoon I immediately drove to the theater (got there just in time for the previews to start), bought a ticket for “Ant-Man,” and really enjoyed it! However, my first movie choice was “Terminator Genisys,” but it’s not playing at anywhere nearby. It’s probably for the best. This latest installment in the Terminator franchise got terrible reviews, which is disappointing because I love Terminator movies. But I might have regretted paying the ridiculous ticket price to see “Terminator Genisys.” Luckily “Ant-Man” was great. It’s no secret that I have a deep seated love for Marvel movies, and this one only reaffirmed my feelings. And it set up “Captain America: Civil War” (which I’ve read is going to be more like Avengers 2.5) in the post credits scene so I loved that. I’ll just have to wait until next summer to see it! For now I’ll have to be satisfied with “Fantastic Four” which comes out this week. It’s a great summer for superhero movies!